At 19-years-old, most people are worried about their appearance, stressing about college and spending more time at the time than they probably should. Meet Alec Chambers, who clearly is not most people because instead of doing all of those things, he is a singer, songwriter and multi-instrumentalist. Chambers puts all of his talents to good use on his debut EP Whole Again; the title track is a big, glossy radio-ready cut that would make Ryan Tedder and OneRepublic do a second take, “Lost in Translation” is a bouncy pop opus, and while it’s perhaps a bit too upbeat for the rest of Whole Again, it’s the type of track that makes this 19-year-old wunderkind sonically appealing to a wide demographic, “Bleecker Street” is an endearing walk down memory lane while the closing “Heart of Gold” soulds something of a mashup of Owl City, Never Shout Never and the Ready Set. 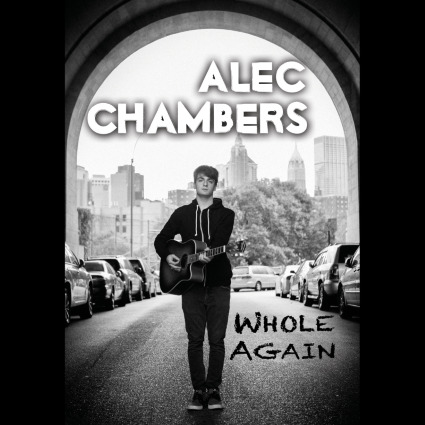 With Whole Again, Chambers manages to create an aural journey across the span of only four songs.